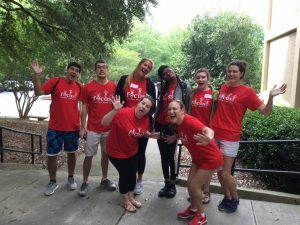 FOCUS + Fragile Kids is a non-profit in Atlanta that serves children, teens, and young adults with developmental disabilities, such as Down syndrome, cerebral palsy, rare genetic disorders, and autism. In the summer, FOCUS operates 6 weeks of day camp for children ages 5-21, a one-week overnight camp for teens and young adults, and a week-end family camp. FOCUS + Fragile Kids offers three competitive internships each summer to college students whose education and career choices align with the FOCUS + Fragile Kids mission. The interns assist with camp pre-planning, work as counselors and activity leaders in the camps, and finally develop plans for day camp for the coming year. If you are interesting in applying to be a summer intern, please complete the Intern Application and send it, along with the requested documents, by email to [email protected]. Join Our Team!! Work, learn, and have fun at FOCUS + Fragile Kids!